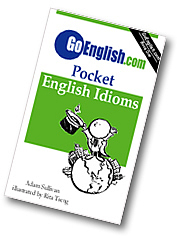 Today's Idiom = "A Bundle Of Nerves"
A person who is tense and nervous is a bundle of nerves. Example: "I have to give a speech tomorrow, and I am a bundle of nerves." It feels like one's nerves are tightly wrapped (a bundle) when one is a bundle of nerves.